Sailor Moon was one of my favorite TV shows growing up. I collected all the limited Sailor Moon merchandise at the time and dressed up as Sailor Mercury before I even knew cosplay was a thing. Fast forwarding a couple of decades, it looks like Sailor Moon is experiencing a resurgence. In addition to the new Sailor Moon Crystal series, cosmetics companies have released a number of Sailor Moon makeup products. 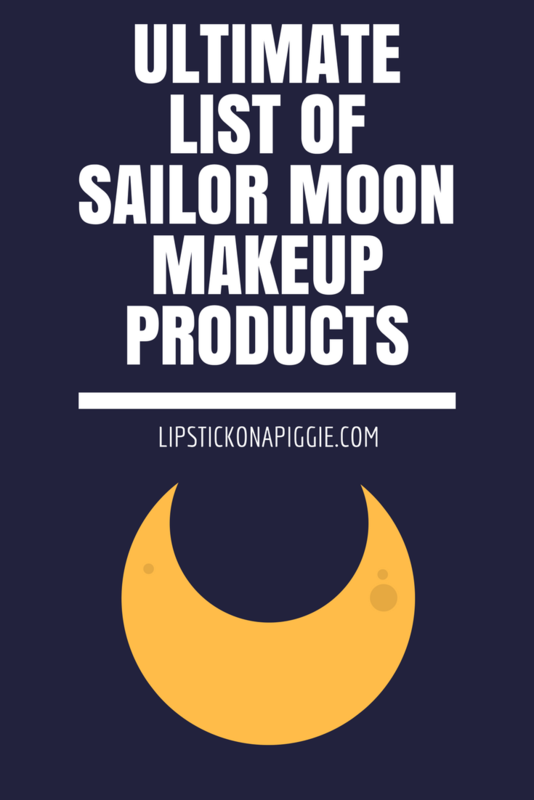 Scouring the internet, I’ve compiled some of my favorite Sailor Moon makeup products below. Sailor Moon Miracle Romance Liquid Eye Liner Cutie Mood Rod. Available from Amazon. When I was a kid, my parents gifted me a season 2 (Sailor Moon R) Cutie Moon Rod for my birthday. Best birthday gift, ever! This Cutie Moon Rod eyeliner by Creer Beaute comes with a topper that’s essentially a replica of the original one! For those who prefer the season 1 Moon Stick, you’re also in luck because Miracle Romance made a Moon Stick eyeliner for that, and for Chibiusa fans there’s a Pink Moon Rod version! I saw this adorable Sailor Moon lip balm by Creer Beaute during my Japan trip but skipped it because I had already purchased a lip product. Now that I know that this is a multipurpose balm that can be used on hands and lips, I kind of regret not buying it! The packaging is a replica of the communicator watch worn by the Sailor Senshi, minus the watch strap. For fans of the other Sailor Senshi, there are lip balms for Sailor Mercury, Sailor Mars, Sailor Jupiter, and Sailor Venus. For those of you who can’t decide, Creer Beaute also makes a Sailor Moon Miracle Romance Communicator Lip Gloss Set, which includes lip balm for all five Sailor Senshi plus a watch strap! Sailor Moon Makeup Brush Set. Available from Amazon. Amazon sells a makeup brush set featuring wands from Sailor Moon and Cardcaptor Sakura (another childhood favorite). While I’m not sure about the quality of the synthetic brushes, they surprisingly have metal handles for extra heft! These brushes come in gold and beautiful rose gold and would make a fun gift for a Sailor Moon or Cardcaptor Sakura fan. Sailor Moon Cat Headband. Available from Amazon. Another Sailor Moon beauty product sold on Amazon is this adorable cat ear headband with a moon crescent. Whoever decided to embroider those ubiquitous white cat ears with a moon is a genius! This headband comes in Artemis and Luna versions and makes a perfect gift for Sailor Moon fans to use during their skin care routines! When I was a kid, I would pick up every blue pen I found, hold it up in the air, and shout, “Mercury Star Power!”. While it never happened, I always hoped that I would transform into the genius Guardian of Wisdom. Creer Beaute does it again with their Sailor Moon Miracle Romance Make Up Moisture Rouge. These gorgeous pens are replicas of the ones used during season one of the Sailor Moon anime and are available for every Inner Senshi (sorry Outer Senshi fans). The lipstick for each Senshi varies in shade, with Sailor Moon a bright pink, Sailor Mercury an ice cool pink, Sailor Mars a fiery red, Sailor Jupiter an earthy beige pink, and Sailor Venus a lovely coral pink. For a better idea of what these colors look like, check out the blog post on SailorMoonCollectibles.com! I’m more of a Sailor Pluto fan these days (Guardian of Time and all, plus an awesome staff), but I wouldn’t mind owning one or all of these lipsticks. I’m sure the 12 year old version of me would have had a field day with the Sailor Mercury one! For fans of the three Guardians of the Talismans, Amazon has you covered with these lip rod transformation pens. Each lip rod has a retractable lipstick and heart mirror and is available in Sailor Uranus, Sailor Neptune, and Sailor Pluto versions. Apologies to Sailor Saturn fans! We definitely need more love for the Guardian of Silence! Sailor Moon Miracle Romance Makeup Eye Shadow Flat Style. Available from YesStyle. Next on this list of Sailor Moon makeup products is the Sailor Moon Miracle Romance Eye Shadow Palette by Creer Beaute. This beautiful compact is a replica of Sailor Moon’s Transformation Brooch from season one of the anime. Inside are a mirror and four eyeshadow shades: two pinks (bright and light), brown, and a light champagne. This would make an excellent gift for anyone who loves Sailor Moon and makeup! As for swatches, I’ve only been able to find a single blogger who’s swatched this palette and it’s Jeban.com. Check out the photo on her blog and see how beautiful these shades are! Sailor Moon Miracle Romance Pretty Guardians Color Powder. Available from YesStyle. Fans of Sailor Moon and Guerlain Meteorites will love the Sailor Moon Miracle Romance Pretty Guardians Color Powder by Creer Beaute. This face finishing powder is housed in a beautiful container in the shape of the Legendary Silver Crystal (Maboroshi no Ginzuishou). Inside are pearl-shaped balls in five colors, each color representing an Inner Senshi. I would not gift this because I’d rather keep it for myself! Sailor Moon Miracle Romance Sailor Moon Powder Flat Style. Available from YesStyle. 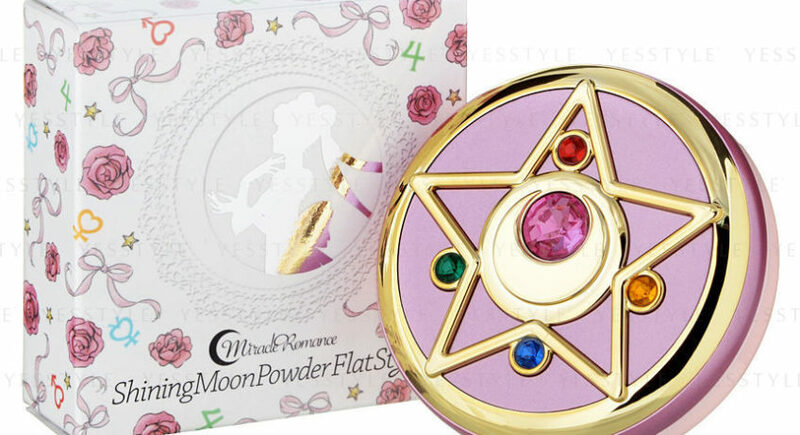 Another face powder is the Sailor Moon Miracle Romance Sailor Moon Powder Flat Style. This translucent product is designed to leave a soft focused look that minimizes pores. The compact itself is a replica of the Crystal Star Brooch from season 2 of the original anime (Sailor Moon R). Sailor Moon Miracle Romance Rainbow Moon Chalice Cheek Colour Blush. Available from YesStyle. 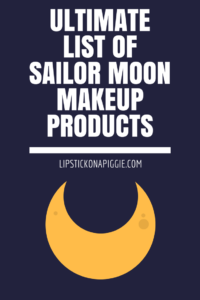 We’re getting close to the end of this list of Sailor Moon makeup products, and I have yet to feature a cheek color! While the Sailor Moon Miracle Romance Rainbow Moon Chalice Cheek Colour Blush by Creer Beaute certainly is not travel friendly, it certainly will make a beautiful decoration for your dresser or vanity. This replica of the season 3 (Sailor Moon S) Moon Chalice (also known as the Holy Grail) houses a domed blush powder that can be removed. Once you’re done with the blush, this gorgeous container can double as a jewelry box! Sailor Moon Miracle Romance Cosmic Heart Cheek Flat Style. Available from YesStyle. Another cheek color product is the Sailor Moon Miracle Romance Cosmic Heart Cheek Flat Style (try saying that three times fast!). This marbled peach-pink blush comes with a mirror and a puff, and at 77 mm, it’s small enough to carry in your purse. This stunning compact is a replica of the Cosmic Heart Compact from season 3 of the anime (Sailor Moon S), one of my favorites. Sailor Moon Miracle Romance Moon Stick Cheek Brush. Available from YesStyle. The last item featuring on this list of Sailor Moon makeup products is the much more travel friendly Sailor Moon Miracle Romance Moon Stick Cheek Brush. This retractable brush is inspired by the Moon Stick from season 1 of the anime. 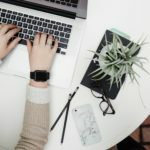 It’s the perfect portable tool to keep in your purse for reapplying powder makeup during the day. Plus, using this brush in public will probably reveal who around you is also a fellow Sailor Moon fan! For fans of upgraded gear, there is also a version of this brush inspired by the Spiral Heart Moon Rod from season 3 of the original anime (Sailor Moon S)! Growing up as a Sailor Moon fan, I would have loved to have had these Sailor Moon makeup products, especially the Sailor Mercury transformation pen! Seeing these products, I can’t help but feel a sense of nostalgia towards this empowering TV show (and manga) that defined such a large part of my childhood. Unlike back then, I do have a job now, and with the new Sailor Moon Crystal series, it might be time to start collecting again!